Three (3) most recent cookbooks you've used. I really like the photography in #2. From which I made whole wheat bread, banana raita, and crumpets, respectively. How were the crumpets Chris? I scored some crumpet rings at an outlet mall cook shop. Is the Chez Panisse Vegetables book any good? I love the restaurant, but I haven't purchased any of their publications yet. Moosewood New Classics (they do great things with kale). The crumpets were OK, but I am still hunting down a better crumpet recipe. As I might have mentioned, I'm not so thrilled with her quickbreads and whatnot. Her biscuits didn't do it for me either. I was highly suspicious of that biscuit recipe, with the hard-cooked egg yolk and all. That wasn't the one I tried, but yeah. Is the Chez Panisse Vegetables book any good? It's a huge cookbook and I haven't had a chance to look at all of it yet...but the two recipes I have tried from it turned out very well. The World Of Jewish Desserts, by Gil Marks. Which which I made minty lassi, potato soup, and lekach (honey cake), respectively. That Jewish dessert book is largely a disappointment, though -- lots off interesting ideas but not as carefully done as the cookbooks I prefer. I bought this for my sister's birthday, but am now considering hanging on to it myself. It seems to have a good basic recipe for all kinds of classics (with the exception of toad, to which the author has inexplicably added cherry tomatoes). cherry tomatoes? that's strange and wrong. i just got someone hot sour salty sweet, which i've been wanting for ages. hope it's appreciated. i think the last 3 books i've used have been how to cook everything (bittman), seductions of rice (alford/duguid), and the silver spoon. Ooh, good reminder! I'm off to Italy on the 23rd and am determined to come back with a Cucchaio d'Argento. Rockista? Io? it's absolutely wonderful. i found a new (english) copy for about half the list price at discount shop, but after having it around for a while i'd say it's worth paying full fare. 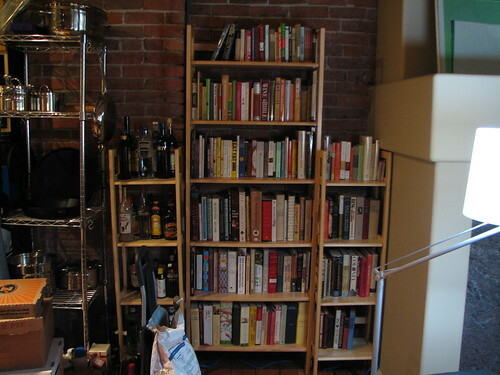 I really haven't used any cookbooks since buying subscriptions to Cook's Illustrated, Cook's Country, and CooksIllustrated.com. I'm a slave to Christopher Kimball and friends.
" an all-mac n' cheese cookbook"
I got this one for xmas. I got the Julia Child original PBS series from Netflix - we watched the first DVD the other night. If I would only have paid attention when I was a kid, I would have had good knife technique years ago. Now I'm inspired to start reading through Mastering the Art of French Cooking (her co-author, Simone Beck, was in one show on the DVD). My last 3 cookbooks - a glance at Fanny Farmer for the biscuit dough proportions, Red Chile Bible for chili ideas, and Simple French Cooking, loaned to me by a co-worker, for the beauty of the writing and ideas. Jaq, I just put that mac 'n' cheese book in my amazon basket! Yup, that's the same one I have (how many could there be, anyway?). Have you made much from it Jordan? I keep meaning to try one of the sweet ones but haven't yet. My standby (penne pasta, cubes of cheese rather than a sauce, lots of tomatoes, hot sauce, & bread crumbs) is influenced by it, but I haven't tried any of the crazy recipes with truffle oil & stuff. I just got Fergus Henderson's The Whole Beast: Nose to Tail Eating and Elizabeth David's Summer Cooking. I've had the Beyond Nose to Tail for awhile - picked it up immediately when I read the entry for walnut halves wrapped in lardo! I saw him on some Anthony Bourdain show while at the gym the other day (terrible thing to watch while you're trotting away there, sweating, btw) and the stuff they were eating looked so fantastically good. Which version of JoC do you use Bell? I tend to use the older, 1950s or whatever one (the non-health-conscious one). oh i have to check what year it is! it has recipes for squirrel in it, so i am guessing older. *got this as a gift. a couple of the simplest pastas have actually come out well, esp. ziti w/cauliflower pecorino chilis and mint. and the recipes were more user-friendly/less cursory than I expected from a celebrity chef's cookbook. not sure this is where I would go for instructions on making head cheese at home, though. i love batali's cookbooks. even the more involved recipes aren't fussy or esoteric for the sake of being so. pork + sons is so lovely. i saw that he had another book out, but i havent had a chance to look at it. This came out in the US last year - I'd gotten a copy from a UK retailer via ABEbooks about 4 years ago, due to someone here (Porkpie, I think) recommending his pork pie recipe. Do you have a particular favorite from it? I really loved the side pork. I've got Pork & Sons on my wish list. I do the pork chops with cider and anchovies all the time and use the roasting instructions a lot. I'm trying to remember if the Tagine recipe is in there or in the River Cottage book because that is my favourite I think. River Cottage Fish is top of my christmas list this year. i'm exited to try out the slow cooker/crock pot book i got at costco over the weekend. it has a ton of interesting recipes, including fish and game, instead of the usual "put x in the cooker with a can of campbell's soup and some shredded cheese" instructions which seem to comprise 99% of those cookbooks. 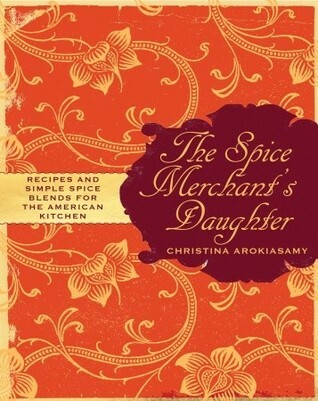 can anyone recommend a good book of vegetarian middle eastern recipes? i have gotten claudia roden's "new book of middle eastern food" out of the library a couple times and liked it but i don't think i would buy that one because i don't need the meat recipes. i want something i would use often, not something for special occasions. should have lots of recipes, pictures not that important. maybe she has a vegetarian cookbook? i can't find one on amazon though. The most authentic? Even if this may entail your having to move to a south-asian village in order to obtain the correct ingredients and learn to cook over a dung fire? The tastiest recipes? Even if this may require you to learn very elaborate techniques and purchase gold leaf with which to wrap tiny morsels of expensive whatnot flown in by overnight express? The simplest recipes? Even if this may suggest that opening a can of Heniz beans and mashing them with a fork makes a perfectly good substitute for dal? Nicest pictures? Even if this results in a coffee table book that no one could conceivably cook from? Most comprehensive? Even if this turns out to be encyclopedic in scope, comprising 16 volumes, available only from an obscure publisher in Dehli, replete with typos and costing 100,000 rupees, C.O.D.? One wonders what criteria to apply. savoring india is a coffee table book i guess but can be cooked from. i usually don't go for stuff w/ a lot of pictures but i was happy with it. i never use my cookbooks! occasionally i browse to make sure i'm not forgetting key ingredients, but most of the time i just look up a basic recipe online and then riff on it. considering starting to work with books though, so i can make fancy things. i did consult an eating well cookbook last weekend for poaching techniques. I got a copy of Yotam Ottolenghi's Plenty yesterday - so beautiful, and all the recipes sound delicious. btw, Julie Sahni's Classic Indian Cooking is a good all-around Indian food cookbook. I made baked duck eggs on a bed of arugula w/chili butter and garlic sour cream for dinner last night, slightly adapted (sour cream instead of greek yoghurt, duck eggs instead of chicken eggs) from Plenty - so tasty and also very beautiful. Which Bayless? I have had .. not a lot of luck cooking from Bayless. Many of his recipes seem fussy, and I've messed them up more badly than p. much any other book I've cooked from. i decided to treat myself to a cookbook on friday and ended up buying jerusalem. it's gorgeous and i can't wait to start cooking from it. how was plenty? I still love it - though I don't cook from it much, it's great to look at and think over. Everything I've tried has been quite good.